Follows the adventures of a crew of the deep-diving nuclear-powered civilian research submarine Hydronaut making a submerged circumnavigation of the world to plant monitoring sensors on the ocean floor that will help scientists better predict impending earthquakes. 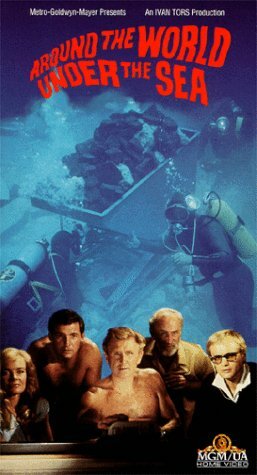 *Spoiler/plot-1966, Around the World Under the Sea, A crew of ocean scientists are trying to find the reason the Earth is breaking apart. They go to find out the problem and meet a giant eel that attack their atomic submarine. McCallum, Keenan "Great Race' Wynn and Marshal "B-film male Lead King ' Thompson play crusty scientists and sub crew members. *Theme- the ocean is still unexplored for a very good reason. *Based on- Jules Vern early sea stories. *Trivia/location/goofs- Mr Bridges has become type cast as the consummate frogman since his Sea Hunt days in the late 50's. He has done better since in comedy like Zucker Bros "Airplane'. *Emotion- A strange attempt to combine science fiction with big hit disaster movie of the times. The addition of a monster under sea eel attacking the cast is the only interesting element of this flat film of wooden actors. A forgotten aquatic based sci-fier from an era that loved them, Andrew Marton's film isn't extremely bad exactly, it's just that it plods along without ever really reaching exciting heights. 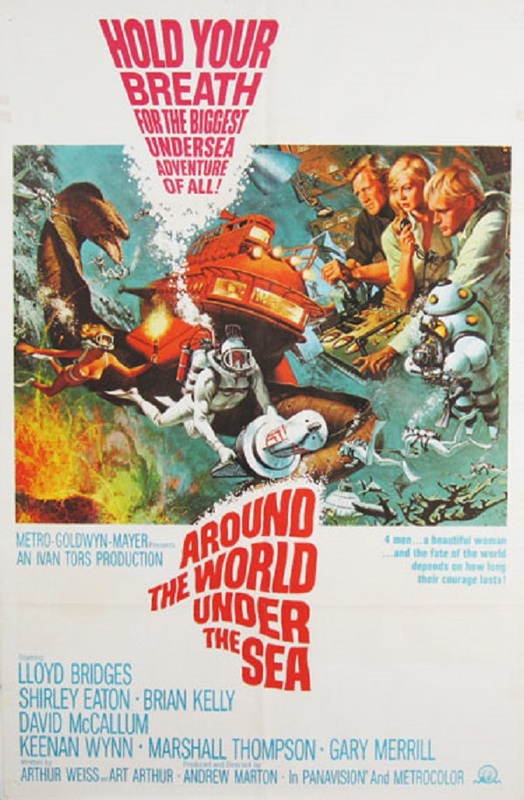 Cast features Lloyd Bridges, Brian Kelly, Shirley Eaton, David McCallum and Keenan Wynn, who are tasked with traversing the world's ocean beds to plant sensors that will warn mankind of impending earthquakes. A tricky task for sure, especially after we have been told at the start that the depths of the ocean is more inhospitable than anything in space.